The Donit R&D team with focus on innovation have been using our well-equipped laboratories and strong input from market requirements, to develop and optimize a new sealing material which meets your utmost challenging demands. We call it GRAFILIT® IQ; which offers a superior anti-stick performance, optimal thermo-mechanical properties and easy handling. Furthermore, it provides excellent adaptability to irregularities and even scratches on the flange surfaces. 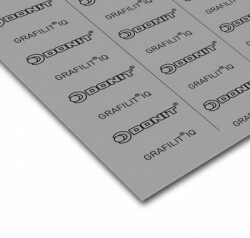 Experience the Donit support trying out the uniqueness of GRAFILIT® IQ.